Polnak is the manager of LBL Outfitters Auto, Trailer, and Camper Sales located on Route 11 in Potsdam. Originally from Little Falls, N.Y., she graduated from SUNY Potsdam in 2015 with a bachelor of arts degree in psychology. Polnak joined Rotary in early 2017, as she started her career working between Malone and Potsdam. 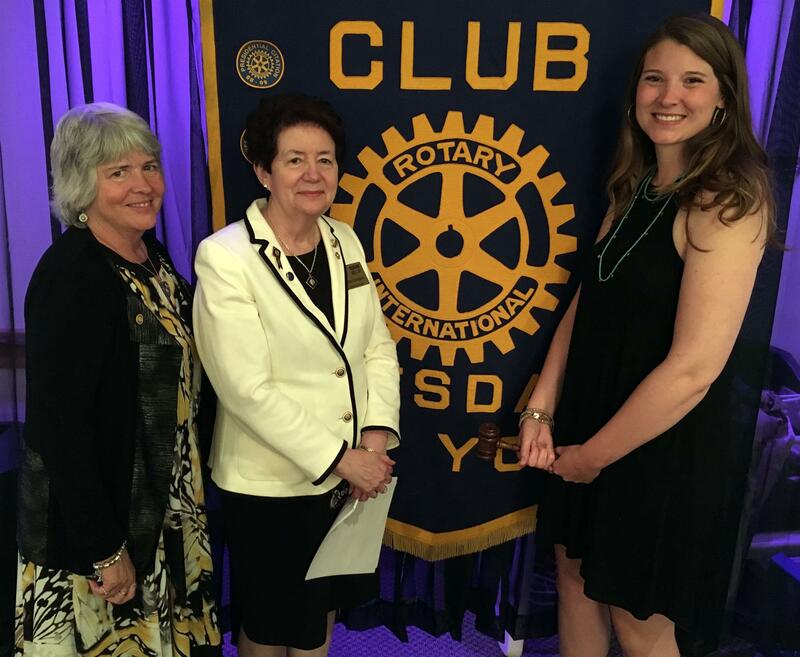 Quickly taking interest in all of the events and philanthropy projects that Rotary has to offer, she stepped forward to support the club’s efforts and goals. She co-chaired the 2017 Rotary Golf Tournament, and started the Rotary “Haunted Alleyway” for Fright Night in downtown Potsdam. The Potsdam Rotary Club meets each Wednesday at noon at the Ponderosa Steakhouse in Potsdam. Guests are welcome. Photo caption: Samantha Polnak was installed as the 2018-2019 president of the Rotary Club of Potsdam at its annual dinner. Left to right: 2017-2018 President Mary Sue Foster, 2017-2018 District Governor Susan Bellor, and Polnak.